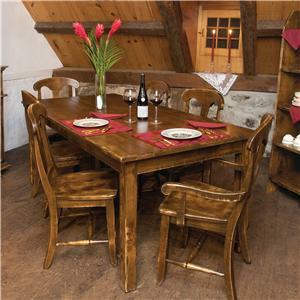 Select your chairs and choose from European traditional, country cottage, contemporary casual or transitional styles. Some chairs offer multiple customizable leg options. Next, choose your seat type, wooden, fabric or leather. Choose from a multitude of upholstery options to create a comfortable seat. And lastly, choose from over 50 colors in either Matte, Glossy or Antique finishes. Mix and match and create a truly customizable dining seat. Chair fabric shown is no longer available. 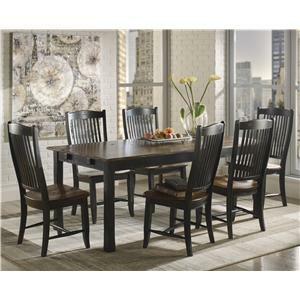 The Custom Dining Customizable Oval Table with Leaves & Pedestal Base by Canadel at Saugerties Furniture Mart in the Poughkeepsie, Kingston, and Albany, New York area. Product availability may vary. Contact us for the most current availability on this product. Table Info Two 20-inch leaves extend the table from 62 inches long with no leaves to 82 inches with one leaf, and to 102 inches long with two leaves. Seats up to 8 with two leaves. 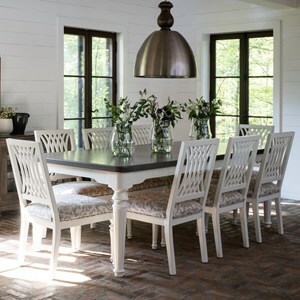 The Custom Dining collection is a great option if you are looking for Transitional furniture in the Poughkeepsie, Kingston, and Albany, New York area.